the year of 2005 witnessed another round of economic growth in yiwu and new strides on its way to scientific development. yiwu took a scientific approach to development in 2005. it withstood the tests of a fluctuating international market, and overcame the grave restraints by land and other resources and various unfavorable factors. 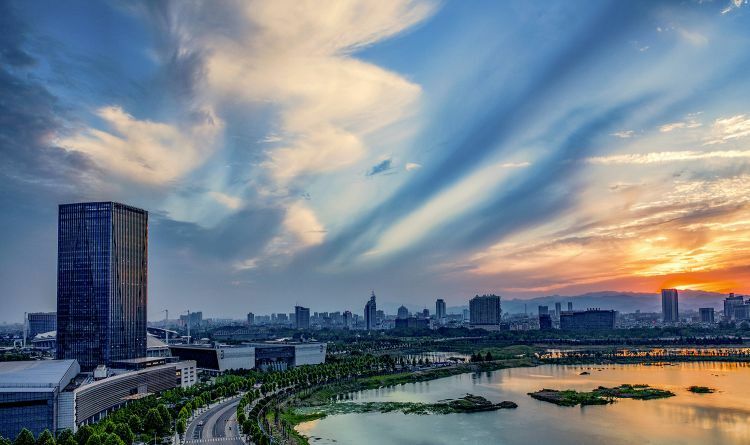 in light of the strategy hammered out by zhejiang province, yiwu stepped up its efforts to develop cultural programs, bring about a 搇ochsafer city och for the people, build a harmonious society, and improve city governance. economic growth was dynamic and rapid, and was well coordinated with the development of social programs.the year 2005 is also a touchstone of yiwu’s success in achieving its objectives set forth in the 10th five-year plan. in those five years, yiwu made historic achievements in economic and social development, putting it at a good starting point as it enters the next five years of further growth. with the reform and opening-up policies, yiwu is becoming more enthusiastic for integrating into the global economy. — in 2005, the gdp of yiwu reached 30.01 billion yuan, an increase of 15.1% over the previous year. financial revenues totaled 3.5 billion yuan, among which local revenues amounted to 1.95 billion yuan, or 17.9% and 17.2% increase over 2004 respectively. — disposable per capita income was 19,010 yuan, and per capita income for farmers was 7,735 yuan. — financial institutions had 58.62 billion yuan of deposits and 35.58 billion yuan of outstanding loans, or 10.28 billion yuan and 4.97 billion yuan more than the beginning of the year. in retrospect of the 10th five-year plan period, yiwu’s economy has been strengthened by a big margin. at the end of the 10th five-year plan period, yiwu achieved an annual increase of 15.3% in its gdp and 31.5% in its financial revenues, and its per capita gdp surpassed us$ 5,400. yiwu has become an important growth point in regional economy, ranking the first among county-level cities in competitiveness in zhejiang province, and the 15th across china. yiwu is now on a track toward better economic efficiency and a medium-developed economy. — with the opening of the second phase of the international trade mart in october 2005, the total area of the yiwu market reached 2.6 million square meters. in the 58,000 booths are more than 400,000 kinds of commodities of 1,900 categories from 43 industries. yiwu was listed by forbes as one of the best commercial cities on the mainland of china, ranking the second among county-level cities. it was also recognized as the biggest specialized market of the world by the united nations, the world bank, morgan stanley and other authoritative organizations. — in 2005, transactions in bazaars totaled 38.89 billion yuan, an increase of 19.6% over the previous year. transactions in the china commodities city increased by 8.1%, reaching 28.85 billion yuan. total transactions continued to top the whole nation. — in 2005, eighty exhibitions were held in yiwu. among others, transactions at the 2005 china yiwu international commodities fair amounted to 8.1 billion yuan, and the fair attracted 14,000 participants, unprecedented in both cases. the fair has become the third largest trade fair of export commodities in china. in retrospect of the 10th five-year plan period, the yiwu market has been elevated to a new higher level of development. in order to ochserve the whole country to go globaloch and to become an international circulation and exhibition center of small commodities, the yiwu market is undergoing a transition in its organizational form. it is transforming from a traditional bazaar to a new type of specialized international market equipped with modernized and shopping mall-like infrastructure. its function has become multi-faceted, expanding from the simple trade of goods to exhibition, information sharing and innovation. in-cash and in-kind on-site transactions have been replaced by the latest means such as placing orders, e-commerce and logistics. with its rippling effect getting ever stronger, the market is playing a more important role in leading regional economic development. while the status of the market as the primary wholesaler is consolidating steadily, the rudiments of an economic sphere are already in place. yiwu is faced with a strategic opportunity to become an organic part of the global commercial network on all fronts, and the city is moving forward on its way to realize its mission of serving the whole of china to go global. — in 2005, electricity used by industries in the city went up by 31.5% over the previous year. the total industrial output increased by 32.5%. — the city launched 156 technological transformation projects throughout the year, and made an investment of 3.23 billion yuan in total, or a year-on-year increase of 10%. — the building density in the industrial zone was raised to 33-40%, and the plot ratio was restrained somewhere between 1.6 and 2.0. about 90.7% of the enterprises in the industrial zone began operation, and about 72.4% of them began to generate output. a total floor space of 273,000 square meters of factories and plants has been built. — the list of the national industrial bases had three new comers from yiwu, and one more brand from yiwu was named as搇ochfamous brand och in china. in addition, 25 enterprises were named搇ochleading agricultural businesses och, and 29 agricultural producers were named ochprovincial bases of green agricultural produce och. in retrospect of the 10th five-year plan period, yiwu made new breakthroughs in the development of its industrial sector. two big industrial zones, the northeast and the southwest, have basically taken shape, incubating 25,000 industrial enterprises, over 200,000 entrepreneurs, and more than 20 competitive industries of quite a large scale. industrial integration has become a more obvious trend. the output and sales of stockings, knit-underwear, toys, artware, cosmetics, ornamental articles and slide fasteners accounted for over 30% of the national total. yiwu has had three national famous brands, one china’s well-known trademark, and 66 provincial famous and well-known brands. driven by it, innovation and brand-building, yiwu’s industrial economic sector has entered a new stage of development. in the meantime, the dynamic development of exhibition, logistics, banking, shopping, tourism and other modern services has ushered in a new industrial structure. with its proportion being 10 percentage points higher than the provincial average, yiwu’s tertiary industry is now leading the secondary and primary industries. this has significantly strengthened the sustainability of yiwu’s economic and social development, and taken yiwu into a new stage of improving economic efficiency and marching toward services-based economy. — at present, over 65% of the businesses in the yiwu market are doing foreign trade, involving 212 countries and regions in the world. — there are 615 representative offices in yiwu established by overseas businesses, who have opened more than 9,000 accounts with the banks in yiwu. the unhcr and carrefour asia have set up their own purchasing centers in the city. developed countries in europe, the americas and other continents have become the main export market for yiwu commodities. the booths for hong kong and the republic of korea have opened successfully in the international trade mart, and more than 300 overseas enterprises have entered the mart in total. — up to 2,500 standard containers are exported abroad daily through the yiwu customs. the zhejiang provincial people’s government has designated yiwu as one of the three key ochthrough customsoch of the province. — in 2005, yiwu introduced into it 10 projects, each of which involved an investment of over us$ 10 million. the city also attracted investment from the fortune 500 for the first time. — in june 2005, with the approval of the supreme people’s court, the yiwu people’s court became the first trial court that has jurisdiction over civil and commercial cases involving overseas interests. in october, with the approval of the ministry of public security, yiwu established a bureau for exit and entry of the national border, the first and the only one among county-level cities in china. in retrospect of the 10th five-year plan period, yiwu has accelerated the process toward internationalization. at present, more than 8,000 overseas businessmen are residing in yiwu, and 60% of the yiwu market is export-oriented. the yiwu airport is one of the civil airports that have the highest ratio of overseas passengers in china. the yiwu customs handles over 400,000 standard containers of export commodities every year, the largest volume of foreign trade through inland customs of china. with a steadily improving export-oriented economic structure, greater opening, easier exit and entry of national borders, and better judicial and international trade services, yiwu has entered a stage of搇ochquality developmentoch in its efforts to integrate into the globalized economy. — yiwu has carried out an all-round campaign for better civility in the city, involving more than one million person/times of搇ochadvice offering och in the streets throughout the year.– yiwu successfully hosted the 2005 national women’s football championship, the national men’s basketball match (class a), and other important sports events. — more than 800,000 migrant workers, who intended to reside in yiwu for over half a year, have registered with the city authorities. — yiwu introduced into it more than 16,000 person/times of talents of various fields for the whole year. its practices on protecting the rights and interests of employees have been disseminated throughout china. in retrospect of the 10th five-year plan, yiwu is making big strides toward new urban civilization. the civility campaign enjoyed strong support of the public, and the residents are more conscientious than before in observing the rules of civility. the搇ochnew yiwu resident campaignoch made new achievements. learning has become a growing trend in the city. the three-tiered life-long education network is steadily improving. yiwu’s practices on building a society of learning are being disseminated in zhejiang province. life expectancy of urban residents on average has reached 74.3 years. about 50% of the population do exercises on a regular basis. about 66,000 families have broadband access to internet. about 4.3% of the population have received education at institutions of higher learning. yiwu has thus entered a new stage of improving civility on all fronts. — yiwu went all out to build key projects. the sunshine boulevard (phase i), the 500-kw yiwu substation and other projects have been completed one after another. the relocation of the zhengjiang-jiangxi railway and the construction of jinhua-ningbo expressway, sihai boulevard, wuzhou boulevard and the new party school has been basically completed. — the last two years witnessed an addition of 600 hectares to the green coverage of yiwu, which reached 40.2% of the total area of the city. — yiwu made steady steps to build a new socialist countryside. it has invested 40 million yuan in the integrated treatment of urban and rural wastes, and has more or less completed the搇ochlandscape improvement project och involving 58 villages along provincial highways and expressways. it launched a project to construct multi-storey residential buildings in rural areas, renovated 18 old villages, and completed the first phase of a housing project for relocated residents that enabled 12,000-odd rural families to move into new houses. yiwu has also trained more than 40,000 person/times among the rural labor surplus. the implementation of a project to help 100 villages through market development has generated 720 million yuan of processing values. in retrospect of the 10th five-year plan, yiwu has entered a new phase of the integration of urban and rural areas. 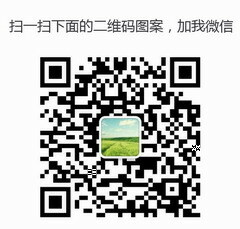 yiwu implemented the first program of action for the integration of urban and rural areas in china. more than one-third of its budget for public spending was earmarked for villages, agriculture and farmers. in yiwu, more than 320 villages have been renovated, and 5.1 million square meters of rural residential buildings were completed. highways connecting villages were upgraded, and together with the public transport and waste treatment, have been more or less integrated with those in the urban area. a city proper of about 100 square kilometers has taken shape, playing a stronger role in combining resources, expanding influence and providing services. yiwu has been named as a 搇ochnational healthy city och, a national award granted to cities with an excellent environment. it has also been rated as one of the cities in zhejiang province that are most suitable for starting business and living. in a word, yiwu is at a time of urban economic growth and in an era of coordinated urban and rural development. — yiwu has carried out a campaign to build a safer city for the people, and implemented ochgrid-likeoch patrolling programs. it invested 139 million yuan into a citywide dynamic surveillance system, bringing down its criminal crime rates below the provincial average. it also stepped up its dispute-settlement efforts, and reconciled or settled 98.8% of contradictions. — up to 461,000 people from both urban and rural areas have been covered by the medical insurance program for serious illnesses. the pension program for farmers whose land is expropriated now covers 115,000 people. and 100% of the rural households of infirm and childless old people as well as those in similar conditions from the rural areas are being supported by the government. in retrospect of the 10th five-year plan period, yiwu has made new achievements in all economic and social programs. fifteen-year education is being implemented throughout yiwu. the yiwu industrial & commercial college has become a top vocational training institution of higher learning in zhejiang province. people in yiwu have more options to entertain themselves. the total area of public cultural facilities has reached 90,000 square meters. a three-tiered public health system at city, township and village levels has basically taken shape. yiwu is ahead of other county-level cities in zhejiang in its scientific and technological competitiveness. about 94.3% of yiwu’s residents feel safe and are satisfied. the rudiments of a social security net for urban and rural residents and a new type of social aid are in place. if calculated from the overall participation in insurance, the per capita insurance participation rate of the whole city nearly reaches 200%. in retrospect of the 10th five-year plan period, we are more confident about our future. today’s yiwu firmly believes in the harmonious development between man and nature. we have hammered out a grand blueprint for sustainable development, which ensures that economic and social development in yiwu will continue to be fast and steady. the 10th five-year plan means a historic leapfrog for yiwu, and 2005 is an important starting point for yiwu. the 10th five-year plan has just been accomplished, and the 11th five-year plan has already come to greet us. 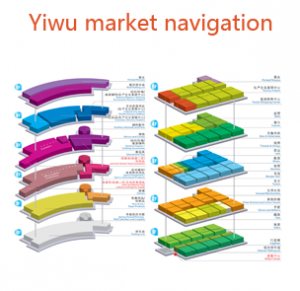 assuming a new higher ground, yiwu has worked out a new blueprint. yiwu’s 11th five-year plan for economic and social development set forth the general goals in the next five years. the city shall continue to take the lead in promoting the scientific approach to development and social harmony. it shall strive to achieve, by 2010, moderate prosperity on all fronts, improve its economic strength tantamount to that of medium-developed countries, and put in place the rudiments of an international trade city. the year 2006 represents the start of the 11th five-year plan. identifying the road of development and priorities of our mission and endeavoring to implement all our plans for the whole year will greatly help us lay a solid foundation for the realization of all the goals in the 11th five-year plan. to that end, the yiwu committee of the communist party of china (cpc) and the yiwu government have set forth new missions for the whole city. under the guidance of the important thought of the ochthree representsoch, yiwu shall observe the principles of the 5th plenary session of the 16th cpc central committee and the latest cpc meeting on economic affairs, take the scientific approach to development as its strategy, understand the new developments, make a new start, identify new missions, adopt new measures, and foster new working styles. it shall step up upgrading its industrial structure, build a new socialist countryside, deepen reform, and open up wider to the outside. efforts shall be made to turn yiwu into a city with a sound ecological system and advanced culture. and the work to build a safer city for the people, a harmonious society and the international trade city shall be strengthened. the new mission calls for new goals and new breakthroughs. — to build a safer city for the people and promote social harmony. while yiwu is benefiting from the world economic development, it is also making its due contribution to the sound development of the world economy.